SIG has been Sheffield's biggest company by turnover - more than �1bn - for more than a decade. SIG has sold its loss making offsite construction arm for £1 as it focuses on core strengths following a troubled period. The building products distributor - Sheffield City Region’s biggest company - sold SIG Building Systems to Urban Splash, the firm behind the revamp of Park Hill. Bosses said it was part of the ‘ongoing management of the group’s portfolio’ and was in line with the strategy set out by the new management team in November. Following the closure of Metechno in 2017, RoofSpace, a panelised ‘room-in-roof’ manufacturer, will be SIG’s only remaining offsite construction business. The sale comes a month after staff were suspended for overstating profits by more than £6m over several years. The firm said it was reviewing ‘clawback’ procedures ‘in relation to incentive payments made to certain individuals’. SIG said it expects to incur an exceptional charge of £7.9m relating to the sale of Building Systems. Earlier this month, it also sold GRM, a small manufacturer of pipe insulation, to Kingspan for an undisclosed sum. Full year results will be announced on Friday March 9. In 2015, SIG bought eight companies in the first eight months of the year as part of an aggressive growth programme which helped profits double to £26.8m. 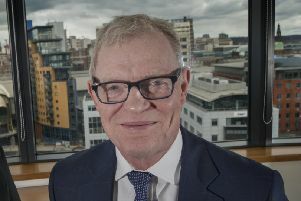 The construction sector giant, based on Sheffield Business Park, snapped up firms as part of a strategy to buy companies where it does not have a presence, called ‘geographic infills’. SIG, which is listed on the FTSE 250, is viewed as doing the ‘classic plc thing’ - growing by acquisition and diversification to get growth to impress investors, but taking its eye off what made is successful in the first place. Now it is seen as going back to core values. SIG has been Sheffield’s biggest company by turnover - more than £1bn - for more than a decade.